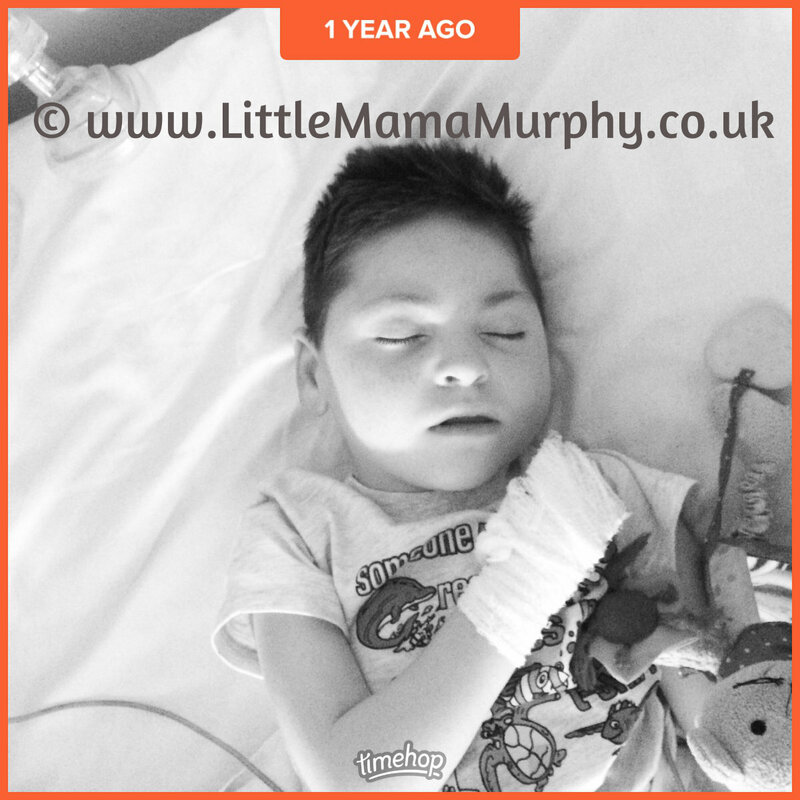 Time-hop is reminding me frequently about how tough things were for Hugh this time last year and how many hospital trips and ambulance rides we were taking due to his life-threatening seizures. He was on a waiting list to have a vagusnerve stimulator (VNS) fitted and the appointment couldn’t come soon enough. What limited control we’d had over the seizures had gone and they’d become far more frequent and far more severe – at times not responding to his emergency rescue medication and at times frightening me beyond my worst nightmare. I regularly write about Hugh’s seizures, but I find it much harder to write when things are more stable. I know that that could change in an instant and I ridiculously fear that I am tempting fate. Like Beetlejuice or the evil Candyman from the horror movie, as if by saying it aloud, I’m inviting the Epilepsy Monster back into our lives. 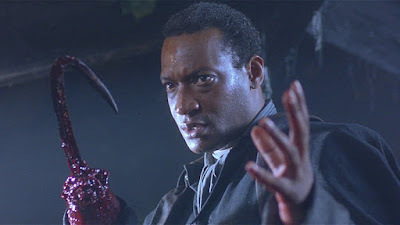 I’ve been fooled before you see, many a time, it never pays to become complacent with the Epilepsy Monster around! The VNS is a device implanted under the skin in Hugh’s chest with electrodes that attach to the vagus nerve in his neck. I think of it as a bit like a pace-maker for the brain. It sends electrical impulses to the brain at regular intervals that are designed to interfere with the erratic brainwaves that cause seizures. The intention being that they prevent a seizure starting. If a seizure does start, we have a magnet which we swipe over the device in Hugh’s chest. This causes a boost of electricity which is set at a slightly higher rate than the regular current. The hope is that this surge will stop the seizure or at least shorten its duration. Initially I’d noticed an improvement in his night time seizures. We don’t worry too much about them generally; they don’t appear to bother Hugh, he is generally happy if a little spaced-out throughout them, his oxygen levels are fine, his heart rate only slightly elevated. After the VNS was implanted we noticed they were shorter and not quite every night. However, swiping the magnet didn’t seem to stop them when they did start. 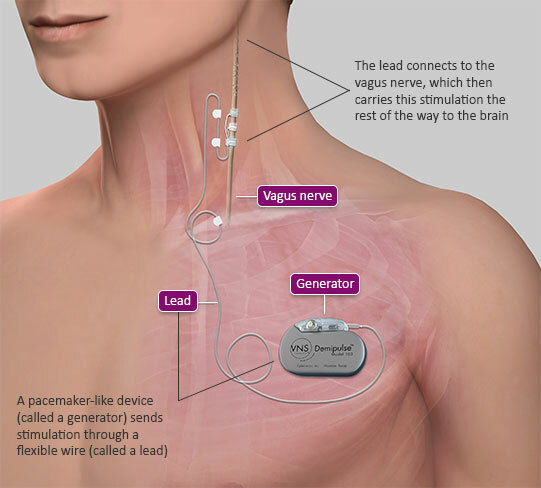 The key hope for the VNS was that it would reduce the frequency and severity of his big seizures – the life threatening, not breathing ones. These are the seizures that put him in hospital so frequently. These are the seizures that completely rule our lives. During one of these ‘apnoeic seizures’ as the doctors refer to them, Hugh completely stops breathing. His brain just doesn’t tell him to breathe any more. In some seizures, the person is too stiff to breathe – the brain wants to breathe but the body can’t. Generally, these are short (less than 60 seconds, according to Epilepsy Action). In other seizures breathing is impaired, the person continues to breathe but not as effectively, they may go blue around the lips. 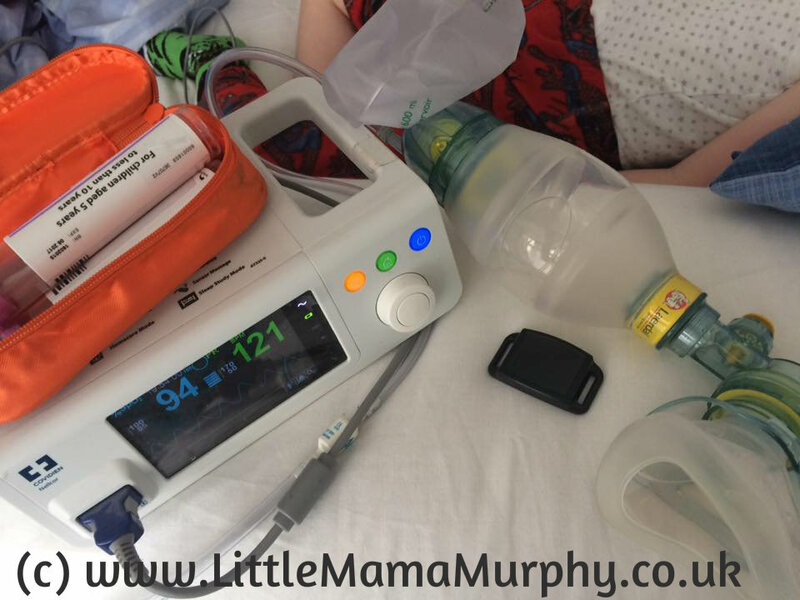 Hugh’s are different to this – he simply stops breathing altogether and doesn’t start again until the seizure stops. This can be one minute, or five minutes or at its worst 16 minutes. I’ve googled how long you can stop breathing for … well, the odds aren’t in Hugh’s favour. We use a bag and mask or good old mouth to mouth to keep Hugh alive until the seizure stops. You can see why we had our hearts set on VNS helping stop these! Unfortunately, the first big test for the VNS came just 6 weeks after it had been switched on. It didn’t appear to help. There’s a lot of fine tuning and adjusting of settings with the VNS – changing the frequency, duration and strength of the electrical boosts – so I excused this fall at the first hurdle. The settings could be changed, it was early days yet. And then it happened again. Way quicker than I expected. Way sooner than was usual. And the VNS didn’t seem to have helped too much. And I made some more excuses, determined not to give up hope. By February, 6 months after the VNS was fitted, Hugh was having his big life-threatening seizures monthly, although the shortest interval was as little as 10 days. I was gutted. Rather than reduce the frequency, the VNS seemed to have increased it. On reflection though I realised something vital. Although Hugh had been having these seizures more frequently and had been hospitalised on many occasions, he hadn’t actually had any intravenous (IV) anti-epileptics since before the VNS had been fitted. This was a big step. The usual route for us would be 2 doses of midazolam within 24 hours at home, ambulance, hospital, possible further dose of midazolam, IV lorazepam, IV phenytoin. And then they’d finally stop. Since the VNS we’d not gone further than 3 doses of midazolam in 24 hours and on a couple of occasions we’d been able to manage his care at home. Which is better: more frequent and less severe OR less frequent and more severe? It seemed the VNS was doing something. The frequency wasn’t ideal and made life, if possible, even more unpredictable, but the ability to keep him out of hospital and cope at home without IV drugs was a plus. We’ve had the VNS settings altered a good few times now. I think he’s currently getting an impulse sent to his brain just over every minute with each impulse lasting 30 seconds. The VNS has got lots of different combinations of settings so there’s still lots of tweaking that can be done. Hugh’s neurologist reminded me in our last appointment that it can take a year to two years to fully see the benefit of the VNS. In May we took a giant leap forward. Let me set the scene… It’s 4am and Hugh’s Sats alarm goes off (it monitors his oxygen levels overnight). I trundle in, irritated by the alarm, assuming it’s a false one caused by wriggling toes (we get that a lot). Hugh is still, too still. I switch on the light. Hugh is blue. Autopilot kicks in. I switch on the oxygen, grab the bag and mask and start resuscitating him. There’s midazolam by his bed (the rescue medication that stops the seizure) I grab it ready knowing that as soon as I get colour back in his face I’ll give it. Just to explain (and possibly complicate matters) – for Hugh, the seizure itself isn’t the real problem, it’s the fact that the seizure causes him to stop breathing. No oxygen in his body is the problem. 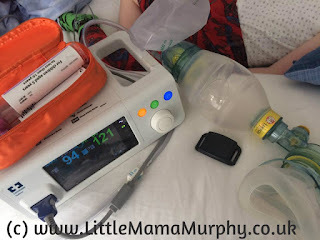 So, the plan is to get the oxygen in (via mouth to mouth or bag and mask) and once he’s a colour closer to pink try and stop the seizure with the rescue medication. When the seizure stops he’ll (hopefully) start breathing again. Sometimes it’s easier than others to get oxygen in to him. Sometimes he’s too floppy, his airway partially closed, making it hard to get air in. Sometimes he's so stiff, his ribs rigid, making it impossible to get his lungs to inflate. I won’t lie, I panic then. These times terrify me. When you’re taught CPR and basic life support, it’s assumed the patient is unconscious and still. Hugh’s not like the plastic doll you get to practise on. I’m resuscitating Hugh and he has such a lovely pink colour in his cheeks that I think for a second he might be breathing again. I check and he’s not, but I know I’ve got time. Time to try the magnet. The magnet I don’t really trust, the magnet that doesn’t seem to do much on even the most basic of Hugh’s seizures. It’s there at the end of his bed. As I’ve done countless time before on less severe seizures to no avail. Of course, I assume it’s a fluke. The seizure would have ended anyway. I know there’s another one coming. There always is. So, when at 6am it hits again, I’m ready. And this time Mr. M swipes while I resuscitate. Hugh slept for 4 hours and woke up fine. Normal protocol would have had me calling an ambulance at 6am. He’d have been in resus by 6.45 having a line fitted. The 8am seizure would have required lorazepam or phenytoin. The seizures would have stopped but he’d have been kept in overnight for observation. I’d have probably taken him home lunch time the following day. He’d have been groggy for a couple of days – a side effect of all the drugs, sleeping more than usual. He’d have missed at least half a week of school. Instead, thanks to the magnet, he woke refreshed and happy and would have been able to return to school the next day (although I kept him off just to be on the safe side). So, Yes. I'm happy to conclude that the VNS does seem to be working for Hugh. Eight weeks have passed since then. I suspect there is another big seizure on the horizon. There always is. It doesn’t pay to get too complacent with the Epilepsy Monster around. And yet, maybe, just maybe, we’ve another way of controlling it. A way with less side effects. A way that can potentially keep Hugh out of hospital. I’m not foolish enough to think all our problems are over, but it’s reassuring to know that we do have another weapon in our armoury for when the Epilepsy Monster returns. Hi Linda, thanks for your message. He had some focal seizures and some generalised. Why do they think it won't help? It seems to be different in different places. I know of people who have been through loads of testing to find out if they're suitable whereas we didn't have much at all. We were told it may or may not work but it's worth a try anyway. Have they tried the ketogenic diet for you guys yet? We tried that first with huge improvements. I am so, so glad that you are seeing an improvement. I hope things continue to improve for you all.Thanks so much for linking to #spectrumsunday. We hope you join us again next time.